This year is a big birthday celebration for Tracy from our Wednesday scrapbooking group and she has had fun celebrating with her family and friends. The week before the big day was her bookclub week and Shaunagh asked me to do cupcakes for the bookclub evening to celebrate Tracy’s 50th. I made pistachio and honey cupcakes in lime green and purple cupcake holders and then used the same colour scheme for the decorations. 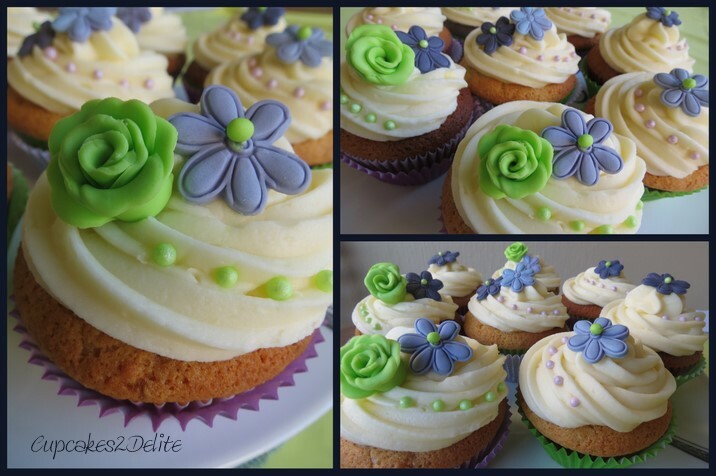 I combined bought flowers from Baking Bitz in Randburg with my own lime green roses on these cupcakes and added the pearls to complete them. Glad you all enjoyed the cupcakes girls and look out for Tracy’s big 50th birthday pictures from our Wednesday morning scrapbooking gang!